An alluring necklace can take any look up a notch and change your outfit from drab to fab within seconds. Statement jewelry is something that never goes out of style and has continued to enhance clothing for ages and guess what? It doesn’t seem to be going out of style anytime soon. So, why not try some cool new ways to incorporate these stunning pieces into your wardrobe and add a major dose of flair to your daily outfits? Our favourite way to add a gorgeous necklace is by pairing it with an otherwise dull outfit to bring the piece of glitz in focus. 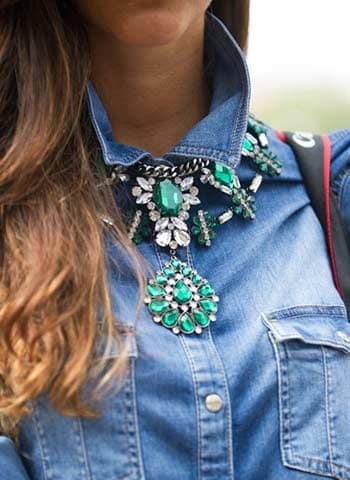 This cool girl way of wearing a statement necklace is sure to score you major style points. Pair a choker with a shirt buttoned up all the way by wearing it over the collar to add a hint of glam or under the shirt to show a little bit of mysterious sparkle. 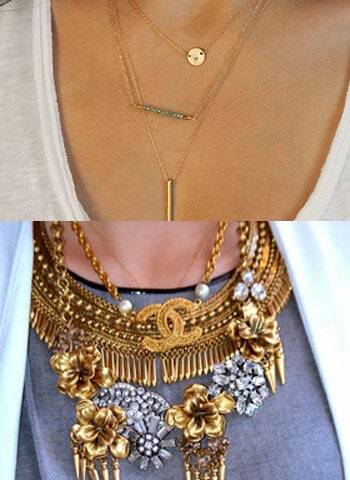 You can also experiment with long chained necklaces which look amazing when layered with other dainty ones. A tube top is one of the best ways to highlight the beauty of a bomb necklace. It gives you tons of space to showcase your jewelry and also lets you experiment with various types. Go all out with a multi-chain layered necklace or add a statement necklace like the Bvlgari Serpenti necklace. Keep the dress simple and let the necklace speak for itself. A block coloured dress can be immensely improved just by adding a contrasting coloured glitzy necklace. This will also take your look from day to night in a flash. 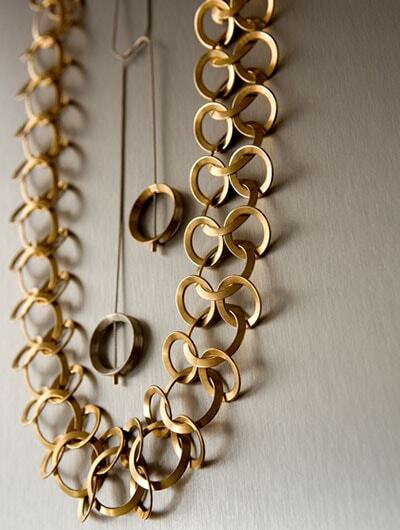 Don’t feel restricted when it comes to necklaces. There are endless ways to make a mark by adding stunning jewels. Mix a few dainty pieces to create a delicate and put together look. Whereas, combining different statement necklaces will give you instant oomph and high fashion glamour.